With a robust character creator, an infinite number of voxel based maps and procedurally generated quests, your PixARK adventure will be completely unique. Team up with friends to form a tribe, or play on your own. Spend your time building a towering fortress or go on a quest in a sprawling cavern. Fly on the back of a dragon and smite your enemies with a magic wand, or ride a mighty T-Rex and blast your foes with a rocket launcher. 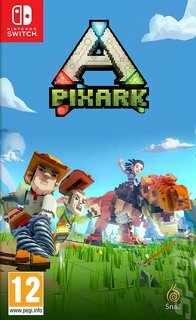 In the world of PixARK, how you play is up to you as long as you survive!